In-home care by attentive professionals during a recovery or to help manage an ongoing condition. Do you or a loved one need professional medical attention and assistance in managing a chronic health condition or recovery from surgery, illness, or injury? Home health care is an effective and affordable solution for many patients’ post-acute care needs and situations. Home health professionals treat a wide range of medical conditions, allowing patients to rest and recover in the comfort of home. 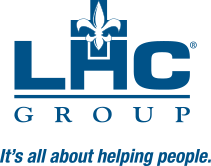 Select a category below to learn more about how LHC Group can help you.